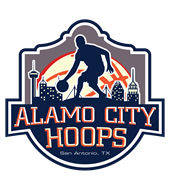 College Promoters USA has been providing professional promotion, national exposure, highlight video production, and hands-on guidance to Texas high school athletes since March of 1997. After continuing to assist and expand it's reach to athletes all over the state of Texas over the past 19 years, College Promoters USA announced the opening of it's new relocated home office location here in San Antonio in October of 2012. Please feel free to stop by anytime and speak with our recruiting professionals! From humble beginnings in a spare bedroom, to spending 13 straight seasons doing business in office space across the street from the Blossom Athletic Center in San Antonio, College Promoters is now very proud to be relocated in a much more modern, centralized location to better serve the community, the state and all of it's quality student-athletes and their families.